Italy is renowned as one of the most charming countries in the world; who doesn’t like classical arts, great quality coffee and food, artistic masterpieces, impeccable sense of style and unstudied elegance, and shopping. We know that we can find these things in the popular cities of Florence, Milan, and Rome, but as these destinations are popular among tourist, these destinations can get pretty crowded and sadly sometimes even lose its charm. You can skip the crowds rushing past you to get into the most famous tourist attractions and just enjoy the greatness of off the beaten track of Italy. Get to know the other parts of Italy and see what other amazing things Italy has to offer. Italy is home to numerous world’s prominent landmarks and must-see attractions, together with its legendary gastronomy and vibrant culture. If you’re planning to stay longer, you may consider looking for homes for rent in Italy for a more comfortable travel. Head over to Altamura for some famous bread and perhaps even a stay in a cave hotel is a great experience. Altamura is a great place to discover historic and dynamic territory and get lost. Monuments are among the most characteristic features of this city, which includes the Romanesque Cathedral. This cathedral features ancient medieval walls, once used as tombs adjacent to different interesting gravestones. Constructed in 500 B. C. and offers an amazing sight, the megalithic walls of Altamura are extremely important features of the area and also responsible for the city’s name. This city has also proved to be an illustrious place for fossils. The city of Bergamo Alta is decorated with eye-catching statues of the intricate detail of both interiors and exteriors of the extravagant churches and buildings. This city is a historic center complete with the impressive 12th century. After your authentic Italian meal in this city, head into the Church of Santa Maria Maggiore, built over 3 centuries and used for music lessons and singing for 800 years. Seeing the dome’s frescoes, you will have no doubts why this church was considered a masterpiece of Renaissance architecture. You’ll surely fall in love with the vibrations and aesthetics of this wonderful place. Among the most ancient of Italian cities, Chieti has a fascinating history that dates back to 1181 B. C. This city has a great combination between modern and ancient architecture and a wonderful balance of nature and city-scape. Inside the city, you’ll find authentic restaurants and cafés, historic museums located at the center of gardens and bring together portraits and statues of Roman times. In the foreground of the Abruzzo Mountains, you will also find majestic castles and architecture. To make the most out of your stay in this city, try to stay at some of their hotels and spas to keep you refreshed as you continue to explore Chieti. 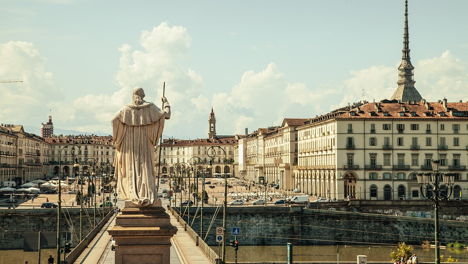 Torino is considered one of the most historically significant cities in all of Italy. In the mid-19th century, this city was the first capital city of Italy and was home to the royal family. Remnants of Torino’s regal days can be found in unique features such as archways over the sidewalks and Piazza San Carlo. Today, the city contains some of the top universities of Italy and popular for its young and adults festivals. 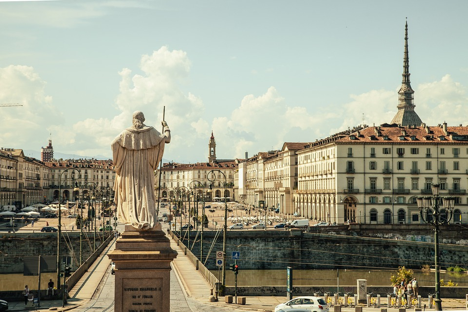 Torino is known for its great art and culture as it is rich with opera houses, art galleries, piazzas, theaters, museums, an architecture of Renaissance baroque, rococo, and neo-classical styles. Located in the Italian Alps, Aota boasts the never-ending scenery spanning from waterfalls, lakes, forests, rock, up to the intricate ancient architecture. Don’t forget to bring your camera to capture and beauty of this great city. The great experience will not end with the landscape or outside view, as this city is also home to the Roman Theatre, established during the reign of Augustus. You should include in your list to visit in this city are the ancient town border of Augusta Praetoria Salassorum or the Aosta Cathedral. Built in the 4th century and replaced in the 11th century. A city that is vibrantly painted packed with grand architecture, which is a result of being located between Germanic, Latin, and Slavic cultures. The roots of this city lie in different cultures that left various and stunning marks on the city throughout the history. Trieste is also considered as one of the most important seaports in the Mediterranean. Get amazed by the great majestic square of Piazza Unita d’Italia, the largest seafront in Europe. Capri is an island located in the Tyrrhenian Sea of the Sorrentine Peninsula, Campania region of Italy. Some of the best spots on this island include the little harbor, Marina Piccola; the limestone crags called sea stacks that project above the sea, the Faraglioni; a high panoramic promenade lined with Villas, the Belvedere of Tragara; the town of Anacapri, Grotta Azzurra; and the ruins of the Imperial Roman villas. Though this island is small in size, Capri is full of delights and beauty. You’ll surely be enticed by the vibrancy of this city that has been loved since Roman times. This city-island is known to have attracted many European artists, celebrities, and writers who have left their mark in exhibitions and memoirs which you can find across the 7 monuments and museums and the 12 churches. From galleries to the grottos, this is a great and unique place to visit while in Italy.